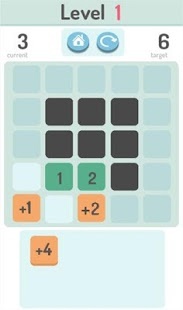 Square Sum is a reflexion challenge game in which you have to place blocs to obtain a certain sum. There is currently 60 levels in the game. The game is free and with no ads.